This slim volume is part of Fall of Man’s Nox Sine Occasu series, in which considerations are given to works too short to be considered full books, but too long to sit as essays in a journal. The focus in this instance is on the Greek oracular demigod Tropohonios, a relatively obscure entity that author Alexander Corvus should be pretty confident in being the sole devotee for, at least for now. Trophonios is presented within this work as an oracular deity of the underworld, a being that when encountered could produce a terrifying but ultimately cathartic and transformative experience. 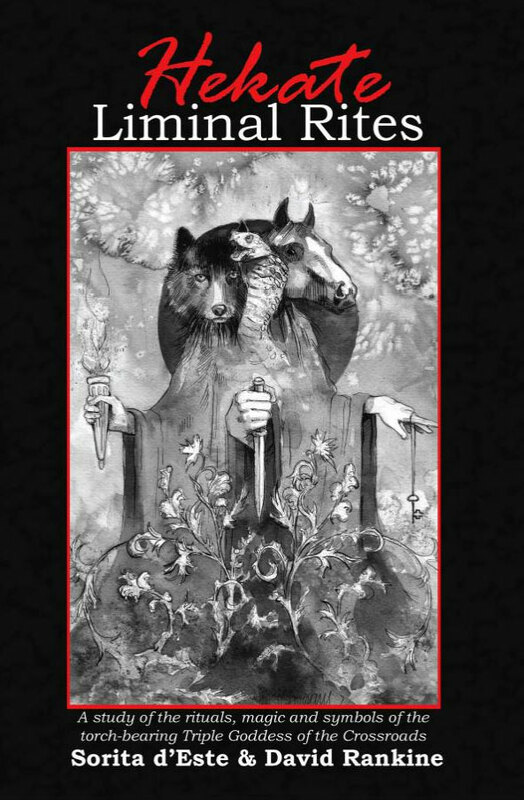 This is the first published work by Corvus who otherwise runs the occult blog De Occulta Philosophia, and who, his biography informs us, has been actively practicing magic for over two decades. Other than that, there’s precious little available about the author, though one assumes that he is not a native English speaker as the writing suffers from many of those characteristic pitfalls. Though Corvus’ writing remains legible throughout, never losing his intentions in a mess of misapplied words, a little proofing to iron out some of the problematic phrasing would have been beneficial. The same is also true of proofing for spelling which has been rather lax, if not non-existent. This, at least, gifts us with a few wonderfully evocative howlers, such as the one that refers to “those wanting to descend to the groove of Trophonios,” bringing to mind some rather funky underworld endeavours. Chthonic Revelations is principally divided into twin sections of mythos and the all-important praxis. In Mythos, Corvus surveys Greek literature to provide a comprehensive image of Trophonios that is thoroughly grounded in extant material. There are three authors who contribute to this corpus: the Greek geographer Pausanias, the 2nd to 3rd century sophist Philostratus, and Plutarch with his De genio Socratis. This information is ably compiled by Corvus who paraphrases where necessary and effectively bridges the direct quotes so that they are not left doing all the work. 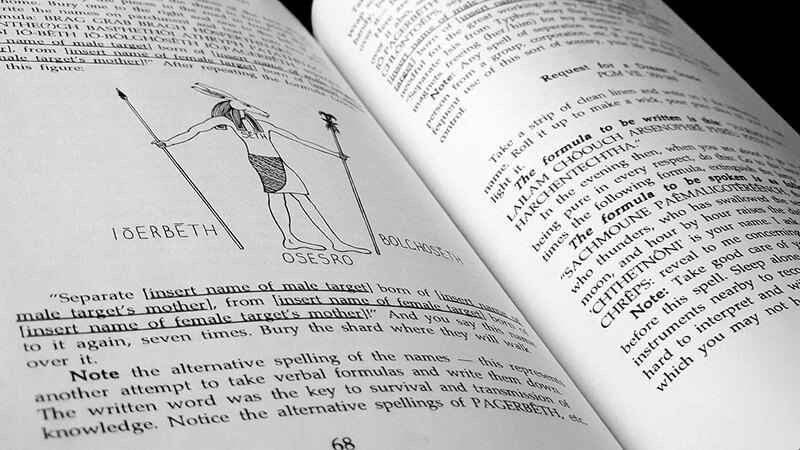 In the chapter that follows, Corvus then takes this surfeit of information and analyses it to isolate the various ritual elements associated with Trophonios. The first-hand account given by Pausanias in his Description of Greece gifts Corvus with a ready-made ritual structure; providing him with the kind of explicit ancient antecedent that many an occult writer would kill for. 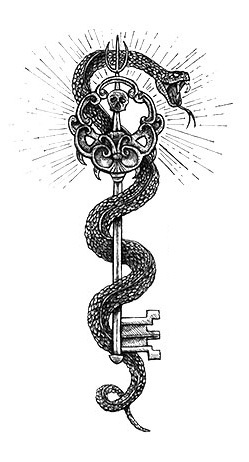 Pausanias’ structure is fleshed out to create the main ritual operation here, but this is preceded with a less historically dependent and fairly typical draconian themed visualisation, the Ophidic Meditation, which is all very black snakes and surging powers. 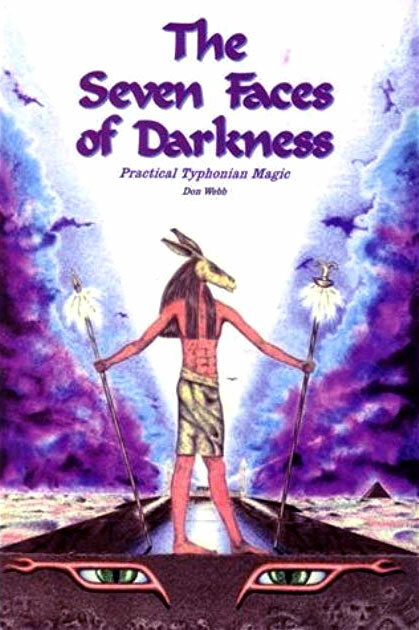 The Initiation Ritual proper is a five-step, seven-day working of both initiation and visions that mirrors its historical antecedent’s journey from purification, to katabasis, to revelation, to anabasis and ultimately to the interpretation and analysis of the entire process. This is followed by instructions for minor rituals that build upon the initiation: the setting up of a pholeos as a ritual space, and brief instructions for petitioning Trophonios with offerings, spells and curses. 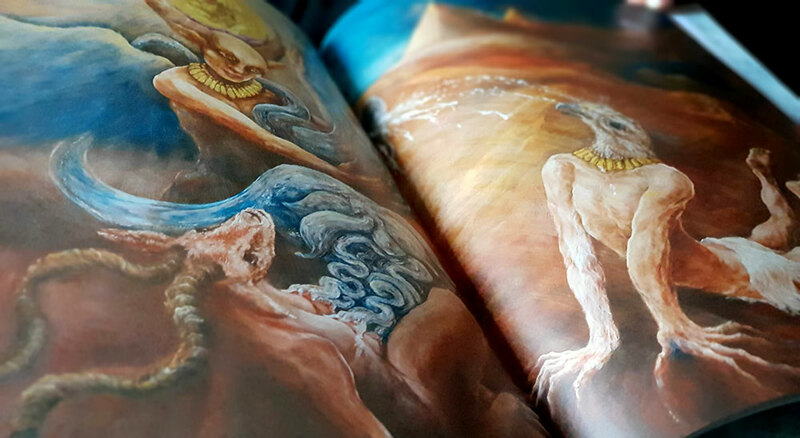 Alen Grijakovic at Opposition Artworks provides the scattering of full page, full bleed illustrations that divide this book into its constituent parts. 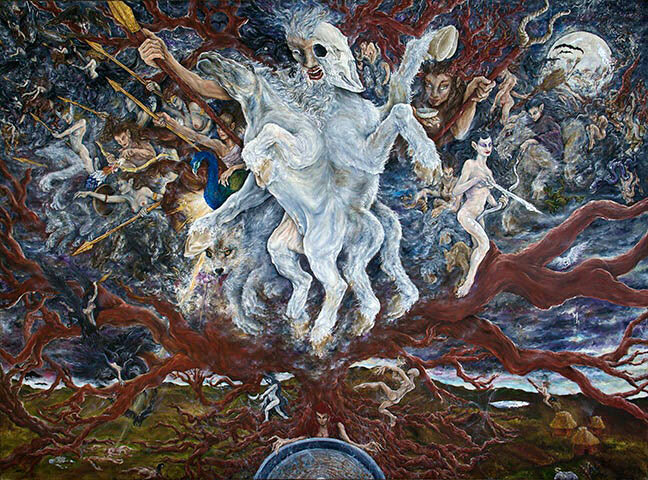 As one comes to expect with titles from publishers such as Fall of Man, where an intersection between occultism and metal is palpable, these images employ a style of pen and ink drawing that is otherwise almost the exclusive reserve of metal album covers, particularly its most blackest of varieties. 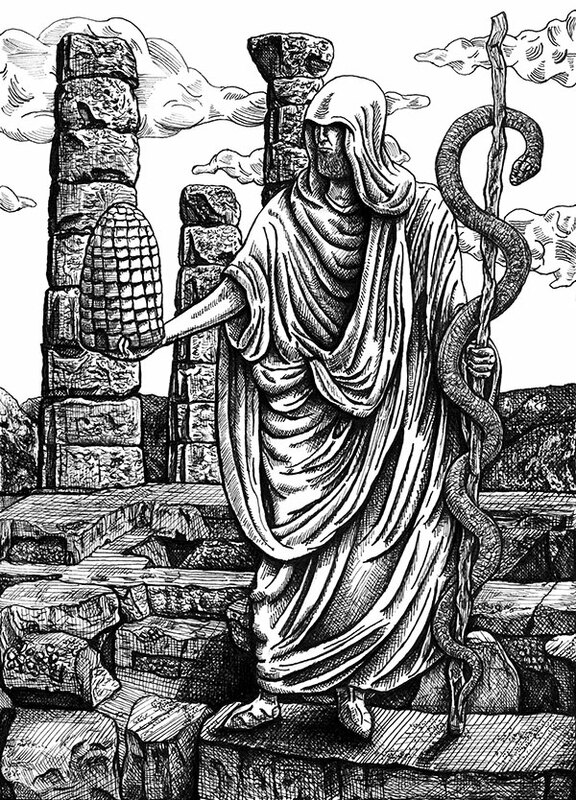 Cross-hatching abounds in these densely rendered pictures, with one image being a fairly traditional image of Trophonios bee-hive in hand, while another is considerably more metal, all hooded figures, demonic gateways and a snaked-wreathed being with glowing eyes. 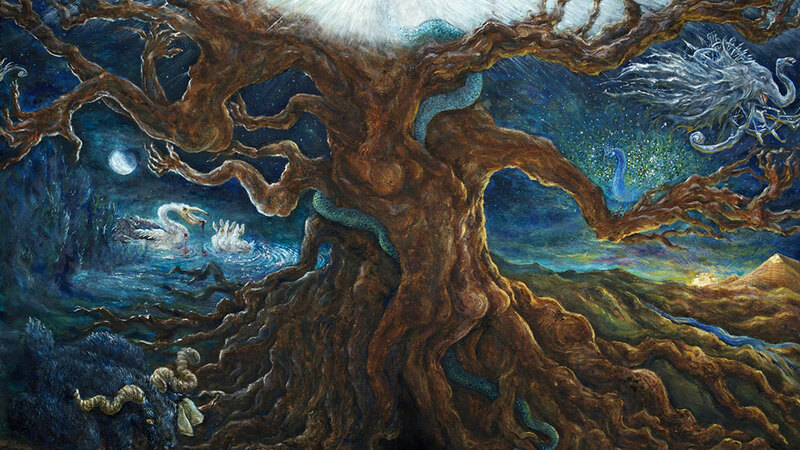 Chthonic Revelations is presented in the same style as other entries in Fall of Man’s Nox Sine Occasu series, such as the previously reviewed Ophidic Essence: Seeking A Return to the Origin. 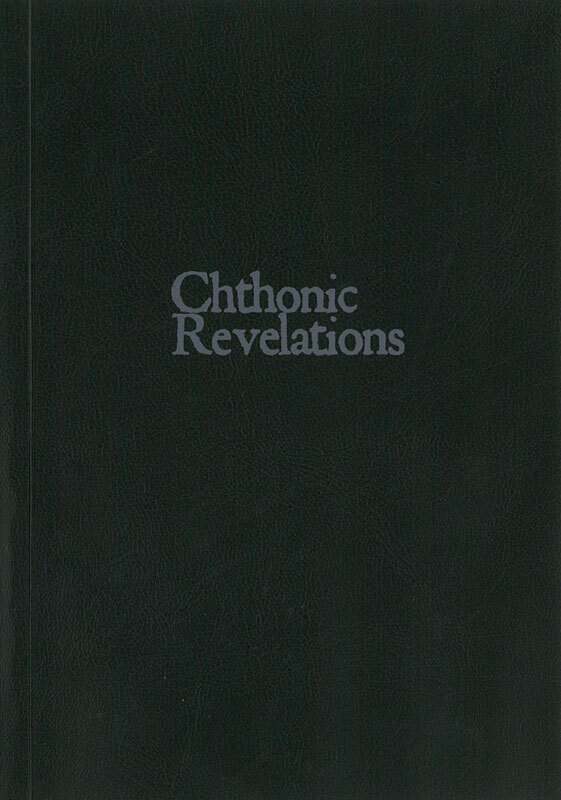 Its 85 pages on 135gsm coated paper are soft cover bound in a faux crushed leather that is hot-stamped in grey with the Chthonic Revelations logo. The hand-sewn spine is a little tight, with noticeable instances in which, at least on my copy, the thread is visible and threatens to tear a hole in the gutter of the pages. 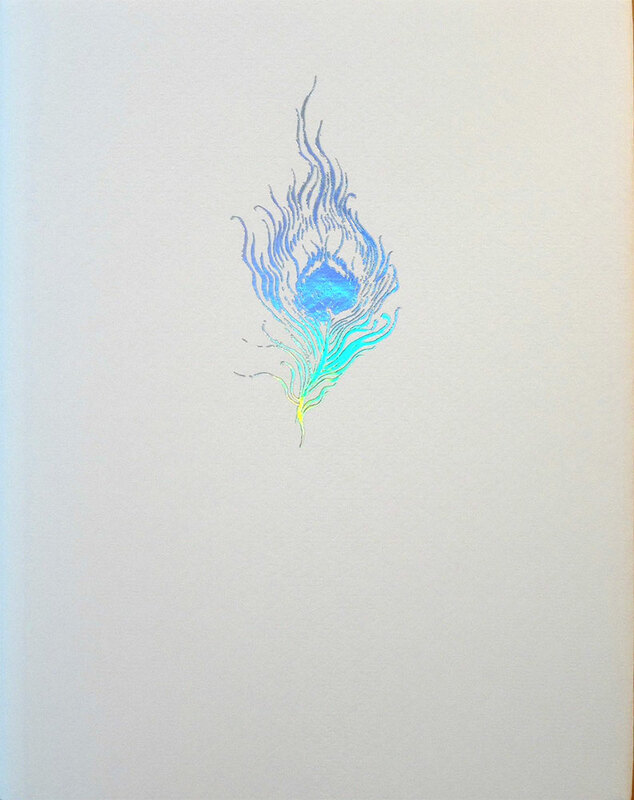 Of the 300 hand-numbered copies, the first 70 copies are presented in a black rugged folder bearing the staff of Trophonios sigilised in silver and the Nox Sine Occasu logo as a wax seal. These 70 copies also have a digital version of the book included in the price.